Something struck me looking at nineteenth century newspaper obituaries. Without exception, as far as I can tell, all the mourners attending funerals were male. In this respect the description of the funeral of Daniel MacAleese, MP, in Monaghan in 1901 as described in his own newspaper, The Peoples Advocate, is typical. There is a long list of dignitaries which I scanned carefully. Although MacAleese was Catholic in a divided community many of those attending or represented were the cream of Protestant society in the town, including my great grandfather, William McWilliam. There is however no mention of his widow or daughters. This patrilineal nature of Irish & English society poses particular problems for the genealogist. As a child I remember noticing that letters to my mother were addressed to Mrs WJ (or James) McWilliam while those to my grandmother were addressed to Mrs Elsie McWilliam. As a widow the latter had reverted to her own Christian name. The point got emphasised recently when I tried to trace my direct maternal (or mitochondrial DNA) line. The first few generations were well known within the family & straightforward enough. The line from Patricia Clugston & Maude Charles (my mother & grandmother) both born in Dungannon to Amelia Rogers & Mary Jane Mullen, Maude’s mother & grandmother, both born in Killyman parish just east of Dungannon, could be easily confirmed via the records of Births, Marriages & Deaths in the General Register Office. In fact I have photographs of all four women. It is prior to 1845 when state registration of non-Catholic marriages began that the problems kick in. 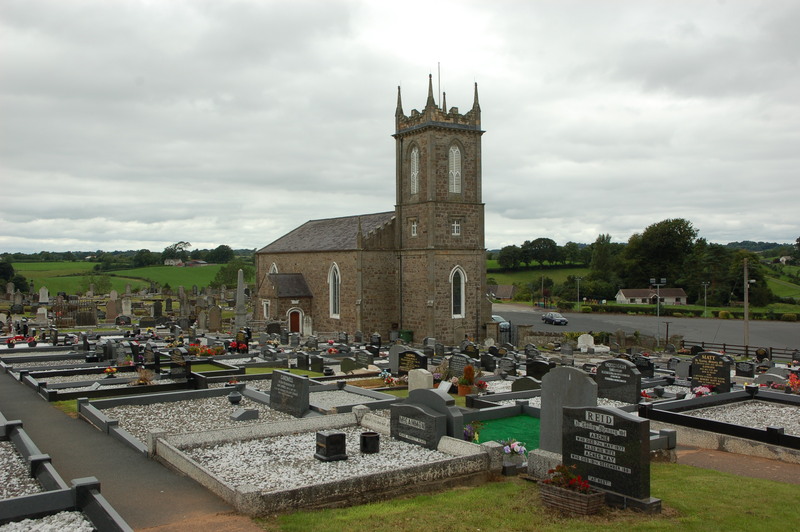 Mary Jane Mullen was married in Killyman (Church of Ireland) parish church in 1855 and fortunately the parish records go back to 1745. I located her baptism in 1828, daughter of John & Jane Mullen, easily enough. Some church records give the name of the mother in baptismal records; Killyman does not. 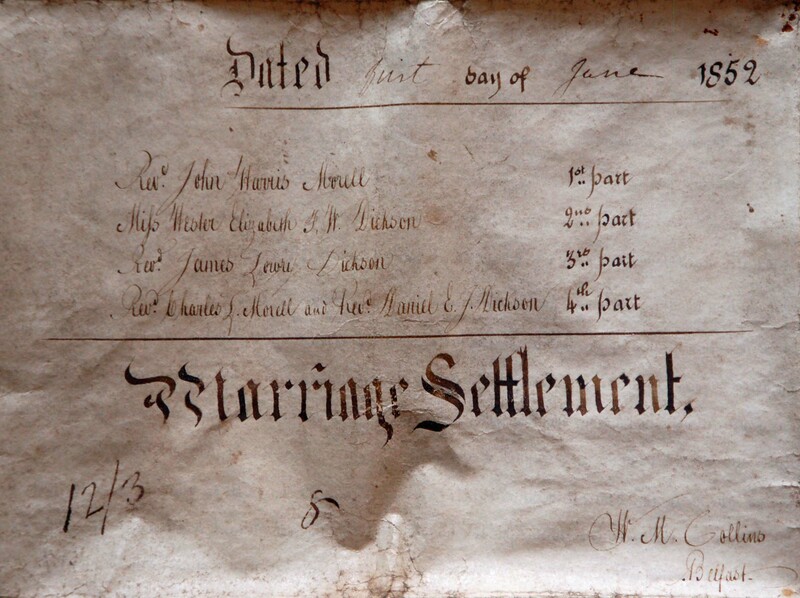 Also it appears that in this period marriages were under-reported by as much as 50% & there is no record of the marriage of John & Jane Mullen. For the moment the search ends there! This failed search must have sensitised me to attitudes to women in this period because I immediately noticed something in the list of women buried in Killyman parish church (Church of Ireland) in the period from 1778-85. Of course some women were named while children were not. In part this must reflect burial customs of the time. I remember my own grandmother’s burial. There was a short prayer service at the house and then the men (and one boy) went to the graveyard for the interment. This was in the 1960s and I doubt it was the normal procedure at the time. It was probably influenced by the fact that she was an atheist and our local Presbyterian minister conducted the ceremony, probably as a courtesy to my father who was one of the ruling elders of the church at the time. However it is possible that in earlier times women didn’t attend the interment. Does anybody have any information about burial customs among Protestants in the 18th century? Marriage settlements were designed to protect married women who weren’t entitled to own anything independent of their husbands. There is perhaps an irony here in that the inferior legal status of women has provided genealogists with a treasure trove of information. By will of Rev James Morell dated 2nd Feb 1830, after the death of his mother he inherits an interest in the lands of Drumummery, Co Monaghan & a portion of the Manor of Shannock in Co Fermanagh & he owns Cumry Lodge, Ballybay. Money was vested in trustees, normally representatives of both bride & groom. John Harris Morell & Hester EFW Dickson were typical in that monies brought by each party were vested in brothers of the couple, the 4th parties above, who controlled them on behalf of the bride. While the impression might be given that marriage settlements were the preserve of the landed classes this is not entirely true . I have found some involving Presbyterians where the sums involved were fairly modest. Agreement between Andrew Henry on behalf of his eldest son Richard of Annamakiff, Co Monaghan & Joseph Donaldson of Creggan, Co Armagh on behalf of his 2nd dau Elizabeth. Andrew gives lands of Annamakiff on 1st May next & £10/year from Annagore (?Annalore) (Aghabog parish) + Annamakiff fully stocked with cows & (horses). If Richard die before Elizabeth the children entitled to what belonged to Richard. Joseph gives Elizabeth £100 as a marriage portion. All of these individuals were Presbyterians. Wills however suggest that men could vary greatly in their attitude to women who often were made executrix of their husbands wills and given considerable control over the non-entailed portion of their husbands estate. The will of Daniel Eccles, the great, great grandfather of Hester Dickson, gave his wife, Mary, control of the non-entailed portion of his estate, suggesting she could leave it to ‘whichever of her sons pleased her’. I have a record of her baptism, her marriage, aged 14, the baptism of her 13 children & her death in 1867 aged 45 years; no other information survives. 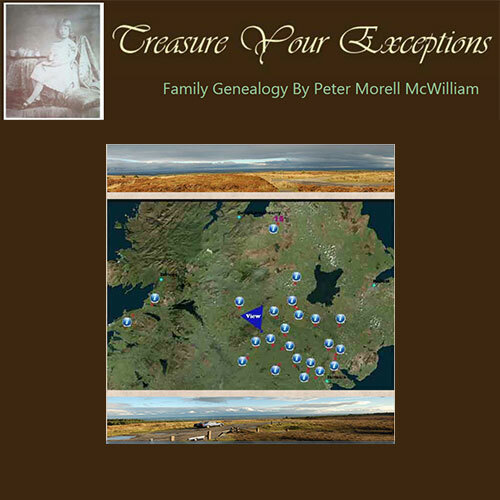 This entry was posted in Genealogical reflections on May 9, 2014 by petermcwilliam2014.